Mrs. Pearl Liu, Deputy Dean, Shenyang Aerospace University, China visited Daffodil International University recently and meet with honorable Vice Chancellor of Daffodil International University Professor Dr. M. Lutfar Rahman and shared views with each others. 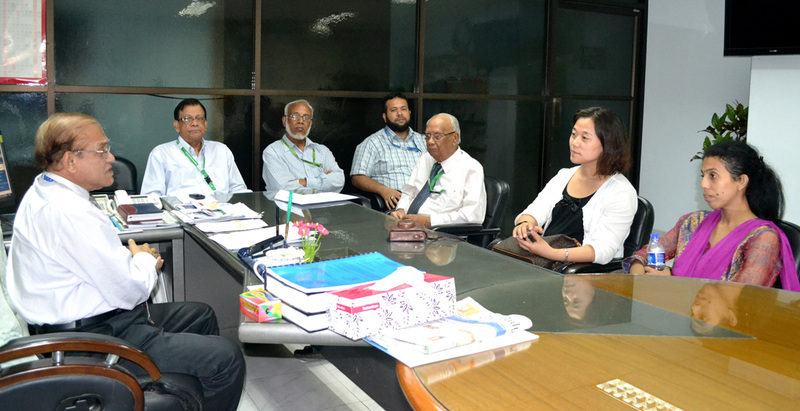 Professor Dr. S. M. Mahbubul-Haque-Majumder, Dean, FSIT, Professor Rafiqul Islam, Dean, FB&E, Professor Dr. Md. Golam Mowla Choudhury, Proctor, Mr. Md. Emran Hossain, Deputy Registrar, DIU were also present during her visit.